A “hidden” world where YOU—not Wall Street—hold all the cards! The ignored funds I’m about to expose are hard-wired for 28%+ TOTAL RETURNS in the next 12 months—with a big chunk of that win IN CASH! 5 amazing funds with SAFE dividends up to 9%! Drop $500k into these cash machines and instantly kick-start a $42,000 income stream. Why the big ETF companies are terrified of these “hidden” funds. If more people knew about them, they’d never buy an ETF again! I’ve discovered 5 “hidden” funds that give you cash dividends of 8.3% and more, year in and year out, like clockwork. PLUS every single one is throwing off a blaring signal that it’s set to explode for 20%+ price upside in the next 12 months, too. Every time this powerful profit “bat signal” goes off, these 5 funds soar. It’s so easy to call it’s almost comical. 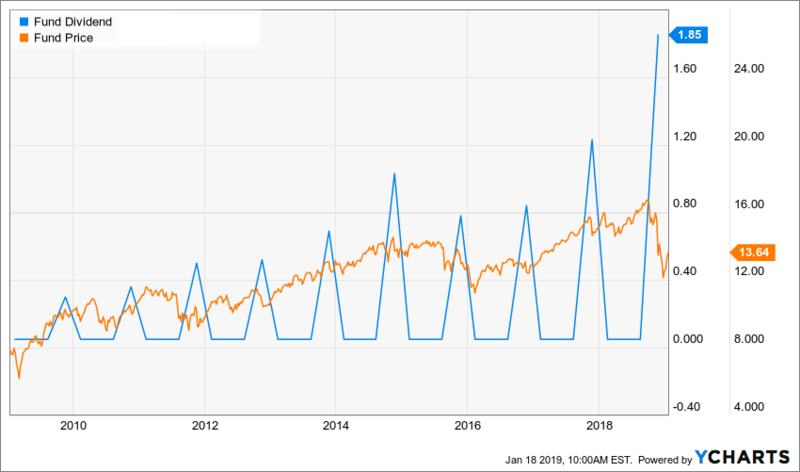 But even though the “profit signal” I’ll reveal shortly is ridiculously obvious, you won’t hear about it, or these 5 funds, from your financial advisor, or even the major fund companies. I know what I’m saying sounds impossible. Because Wall Street and the financial press have drilled it into our heads that we can have high dividends or gain potential in a single investment … but not both. And an 8% dividend yield?! The so-called experts will tell you that any payout that big is a recipe for disaster. But that’s an outright lie! The truth is, there are plenty of stocks throwing off 8%+ payouts right now. But you’ll never hear about them from your broker, the media or anyone on Wall Street. Because it’s easier for them to recommend familiar names, like the 50 mega-cap stocks on the list of “Dividend Aristocrats,” than do any real legwork for folks like you. Too bad the average so-called Aristocrat only yields 1.9% as I write. That’s less than inflation! But Wall Street doesn’t care. They get paid either way. Then there are the big ETF providers, like WisdomTree, iShares and, of course, Vanguard, which throw huge marketing dollars at “dumb” funds like the SPDR S&P 500 ETF (SPY). You probably know SPY. You may even own it. I say it’s “dumb” because it simply uses a computer algorithm to track the S&P 500. But billionaires like Bill Gates, Boaz Weinstein—who made a killing by betting against the ridiculous trades of JPMorgan’s so-called “London Whale”—Bill Ackman and Jeffrey Gundlach, the so-called “Bond God,” know the score. They’re quietly converging on the “hidden” market of funds I’ll reveal in just a few more paragraphs. These funds have all the convenience of ETFs plus massive yields that are 4, 5 and 6 times higher! No wonder the big fund companies are putting their full marketing punch behind ETFs. If more people knew about these “hidden” funds, they’d never buy an ETF again! This chart tells us why. 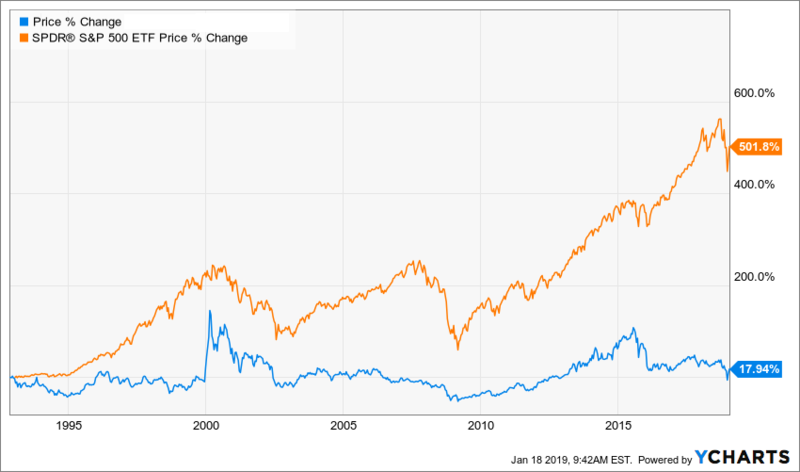 What you’re looking at is SPY’s performance over the past 20 years, in orange, compared to one of the low-key funds I’ll tell you about a little further on. If you’d invested $20,000 in our “hidden” fund 20 years ago, you’d be sitting on a tidy $200,700 today, compared to just $61,300 with SPY. So you’d have an extra $139,400 sitting in your account today. Here’s the crazy thing: this ignored fund holds some of the best stocks in the pharmaceutical business: proven leaders like Gilead Sciences. No penny-stock speculations that explode one day and collapse the next. No short selling. No shadowy derivatives. I’m talking about familiar names you’d find in any ETF, with one HUGE exception: a battle-hardened team of researchers and financial pros from UCLA, MIT and Harvard take personal control of this fund. No way would they ever dream of turning it over to a “dumb” computer. Their boss—a grizzled pharma exec and former researcher himself—would NEVER allow it! You can see the result in their performance. It’s undeniable. And I‘m not cherry picking returns here. Because SPY has plenty of other “hidden market” cousins—all of which invest in well-known US stocks—that have demolished it over the last 3 years while throwing off amazing cash streams, to boot. For example, you could have bought SPY 3 years ago and bagged a 49.1% total return. But you would have done A LOT better if you’d grabbed the Liberty All-Star Growth Fund (ASG), a close SPY relative whose human managers also invest 100% in US companies. But there’s one critical difference (2, actually). 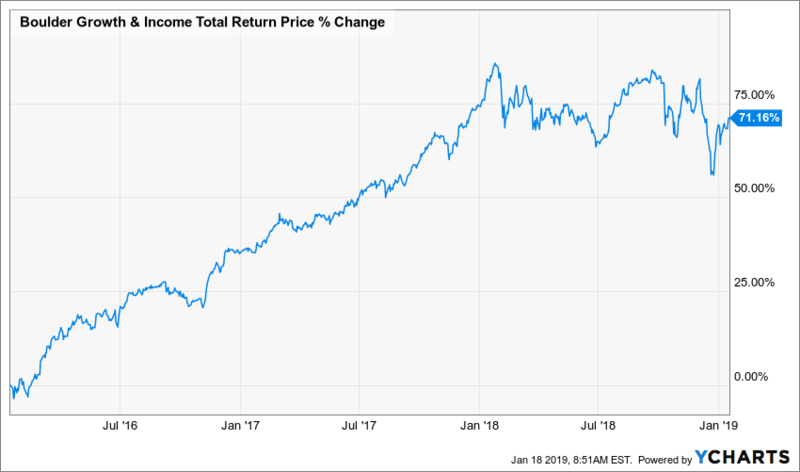 They notched an 68.5% return—40% more than SPY And thanks to ASG’s outsized dividend, which yields 8.1% presently, nearly two-thirds of that gain was in CASH! ASG is far from alone. The Boulder Growth and Income Fund (BIF) also crushed SPY while paying a dividend that more than doubles the ETF’s pathetic 1.7% payout, meaning our BIF holders got more of their big win in CASH, too. Even folks who still wanted to hold the familiar names of the Dow did great with the Nuveen Dow 30 Dynamic Overwrite Total Return Fund (DIAX), which uses a “safe” option strategy to protect its portfolio of household names in a down market and juice its returns when the market catches fire. It then hands those “wins” to shareholders like you in the form of a fat 7.2% CASH dividend. I could go on, but the takeaway is this: the next time someone tells you human managers can’t beat “dumb” ETFs, tell them to check the record, because they’re just plain wrong! The real truth is this: many of these top-secret funds do it year in and year out. And many of them do so in CASH returns alone! Best of all, as I mentioned off the top, there’s one 100% PREDICTABLE indicator that tells you exactly when they’re going to take off on their next wild profit ride. So what exactly are the off-the-radar funds I keep going on about? 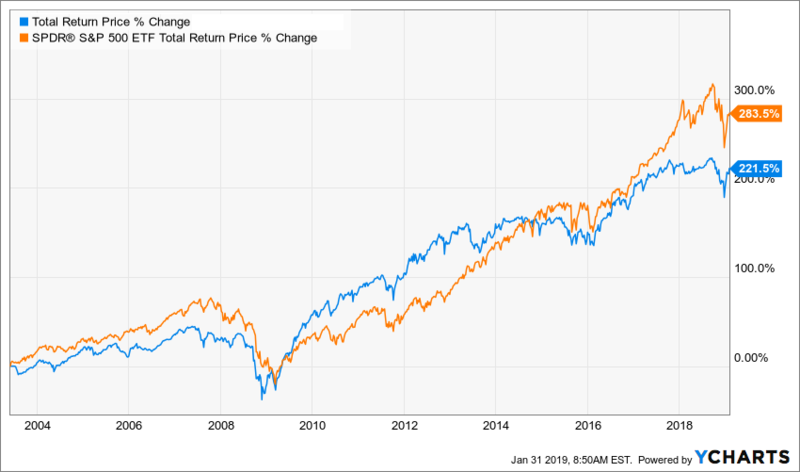 These “hidden market” funds are actually closed-end funds (CEFs), a special kind of investment that brings you outsized gains and massive dividend income in one single buy. We don’t have to go too far into the weeds here—suffice it to say that CEFs can generate these big gains and monster dividends for one simple reason: once they go through an IPO they don’t issue new shares to new investors. That means they often trade for far less than the value of their portfolios (called the net asset value, or NAV), giving us a chance to buy cheap … then sit back and wait as their unusual discounts snap back to their normal levels. That’s exactly what happened with DIAX, whose discount sat at 14% three years ago. This was basically free money! If you bought then, you would have gotten every dollar of DIAX’s portfolio for just 86 cents! But that fat discount has almost completely disappeared, throwing a nice “afterburner” under the share price and driving the fund’s monster 64% return! … then BUY and watch the shares explode higher! 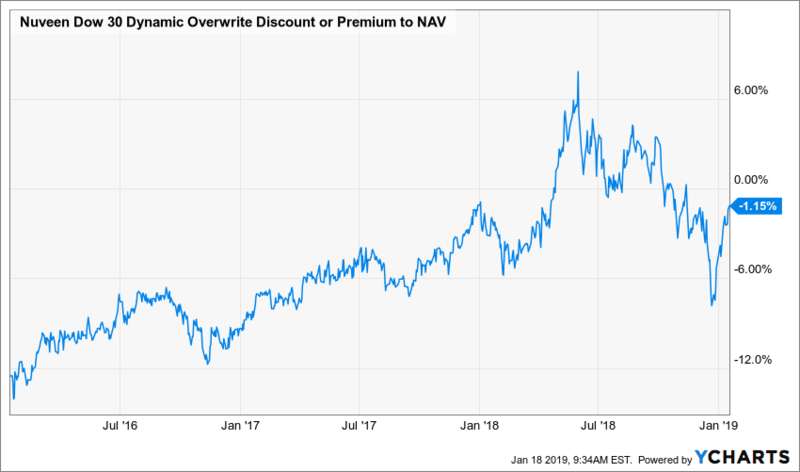 And those big discounts are also the key to CEFs’ outsized dividend yields, because they only have to pay out on the NAV of their portfolios, not the discounted share price. And remember that group of billionaire investors I mentioned before? They know the profit-making power of CEFs all too well. You go into it hoping the discount will narrow on its own, but one of the nicest points about this investment is that while you wait, you earn an above-average yield, given the discounted price. So why isn’t everyone joining the billionaire set and piling into CEFs these days? That pharma CEF I told you about earlier (and will give you more details on in just a second) charges 1.3% in management fees as I write—14 TIMES more than SPY. I’ll admit this sounds insane. And it’s enough to send most folks running away screaming. Because that knee-jerk response has been pounded into us by the big ETF companies, who preach that any fee above the absolute minimum is a complete and utter ripoff. But keep in mind that ALL of the CEF returns I’ve shown you today are net of fees. I don’t know about you, but I’m happy to pay a few hundred bucks more in fees over decades if it means bagging THOUSANDS of dollars in dividend cash and gains! Which brings me back to the 5 CEFs I’ll show you shortly. MASSIVE dividend payouts: These 5 “sleeper” funds throw off an 8.3% average dividend yield, with 2 paying upwards of 9%! The bottom line? Invest, say, $500,000 and you’ll instantly generate $42,000 in income. And that’s on top of the $100,000+ in gains you’d see in Year 1 alone, thanks to these 5 funds’ ridiculous markdowns. Got more? Great! $750,000 hands you a rock-steady $63,000 in CASH payouts every year. A million? How does an $84,000 annual income stream sound? At this point, you’re probably wondering who I am and why you should listen to me. Because this is the most overlooked corner of the already overlooked CEF space! That means it’s where the biggest discounts—and the biggest upside—live. I can’t wait to tell you all about these under-the-radar cash machines, which literally changed my life, handing me the income stream I needed to quit my job as a university professor—and the grinding 80-hour weeks that went with it. Since then, these powerful income generators have handed me the gains I’ve needed to boost my net worth, travel the world and live the life I want to live. That’s the kind of punch these funds pack. 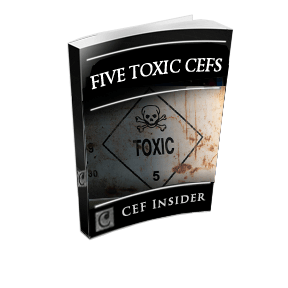 And now it’s time for me to show you the 5 CEFs that can do the same for you. 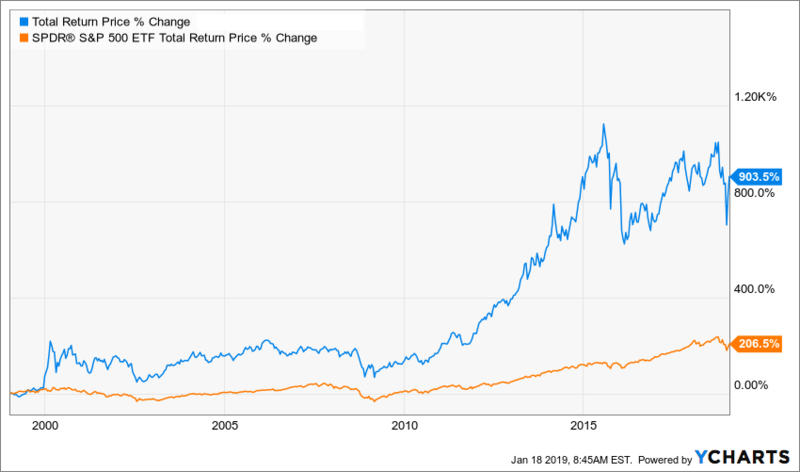 Our first CEF pick is the same one I showed you earlier—the biotech fund that crushed the market since inception with that monstrous 904% return. Plus it throws off an incredible 9.8% dividend, too! So why isn’t this cash machine, which is run by some of the smartest minds in the pharma business, a household name? For one, this low-key CEF is tiny, with just a $391-million market cap, so it gets zero attention from Wall Street or the financial media. 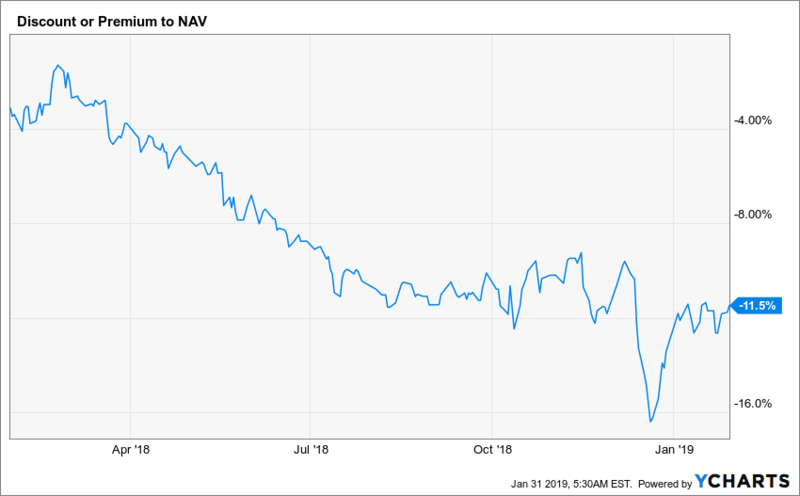 Yet as I write, this fund trades at a 7% discount to NAV! That may not sound like much, but it’s traded at fat premiums MANY times in the past 5 years. When it does so again, we’ll be locked in for fast 20%+ upside from here, on top of that massive dividend! Let’s grab a position now. I’ll show you how in a moment. But because most fund screeners don’t track the fund’s “real” dividend, the herd has no idea it even exists! That lack of knowledge—and this fund’s ridiculous 14% discount—perfectly set up our buy window. And that’s not all, because every single year, without fail, this fund’s special-dividend announcement takes first-level investors by complete surprise—even though it shouldn’t. The pattern is unmistakable. And with another special dividend announcement mere months away, the time to buy is NOW. Imagine if there was a fund selling for 12.5% less than the value of its portfolio while also paying a massive 8.8% dividend. Oh, and this “dream fund” has crushed the S&P 500 since inception, too! Well, imagine no longer, and say hello to “hidden” fund No. 3, owner of an amazing 284% total return. By holding corporate bonds many folks think are high risk, but are, in fact, anything but—especially to the global colossus that runs this fund. You see, this fund’s manager is so big (with assets under management greater than the economies of most countries on earth!) that it can tap info about its bond issuers that most folks can’t—because it owns huge stakes in these companies already. That’s right: it’s lending cash to firms it already has a ton of access to. That’s something most individual investors just can’t get. No wonder this fund has posted that solid 284% return over its lifespan and throws off a safe 8.8% dividend today. The “snapback” upside coming our way in the form of that nice 12.5% discount makes the deal even sweeter. More on how we’ll start tapping the massive returns this fund is primed to send our way in just a few more seconds. Dividend That LOVES Higher Rates! I know I don’t have to tell you that interest rates have shot up since the Fed started hiking in late 2015. That’s had plenty of mainstream investors trembling with fear! But it’s also handed us an unbeatable opportunity to use the Fed’s latest moves catapult ourselves to a bigger nest egg and more income. We’ll do it with my fourth pick, which holds a portfolio of floating-rate loans—borrowings from top-quality US firms whose coupons rise with rates. And thanks to the Fed’s moves in the last few years, they’re throwing off an amazing income stream now! When I first recommended CEF No. 5, in July 2018, I did it for one simple reason: my team and I saw a “locked in” 25% payout hike coming in the next couple months. Management delivered a surprise … a payout hike that DOUBLED my expectations, pumping up lucky shareholders’ “paychecks” by an incredible 49%! That turned a 3.9% yielder into a 6.5%-paying CASH machine overnight! And there’s more to come, because this fund focuses on America’s top regional banks, and they’re first in line to profit, thanks to the roaring US economy. That’s why this fund usually trades at a 6% (or more) premium to NAV. But the market has totally lost the plot here, with this fund trading right around par, giving us a one-time shot at picking this dynamic fund cheap. Add it all up: You’ve got a dividend growing double digits, big upside from this fund’s “discount in disguise” and even more gains ahead as the fund’s bank-focused portfolio takes off. The next move is obvious: Climb aboard here, before the herd inevitably catches on and drives the price higher—and the discount (and dividend yield) lower. 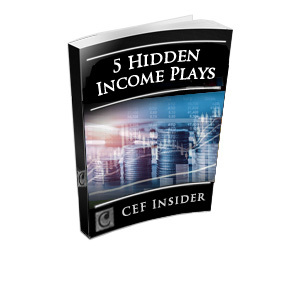 Your first Special Report, “5 Hidden Income Plays the ETF Companies Don’t Want You to Know About,” gives you all the profitable details on these 5 red hot CEF picks. Full details on how each fund makes its money, what’s behind its unusual discount and why that gap is set to slam shut, propelling us to 20%+ price gains—and more—in the next 12 months! In-depth analysis of the people behind each of these funds. This is something too many investors ignore but is absolutely vital for safe CEF profits. CEFs are all I cover, so I spend my days studying the moves of these investment pros. And yes, that includes phoning them up and talking to them directly. How CEFs can pay outsized dividend yields—and a simple way to make sure your fund’s payout is sustainable. Way too much leverage: one of these funds uses borrowed cash to buy other CEFs that are propped up by borrowed cash themselves! When the next downturn hits, this one is hardwired to double the market’s losses—or worse. Dangerous dividends, like the ridiculous 18% one fund pays. 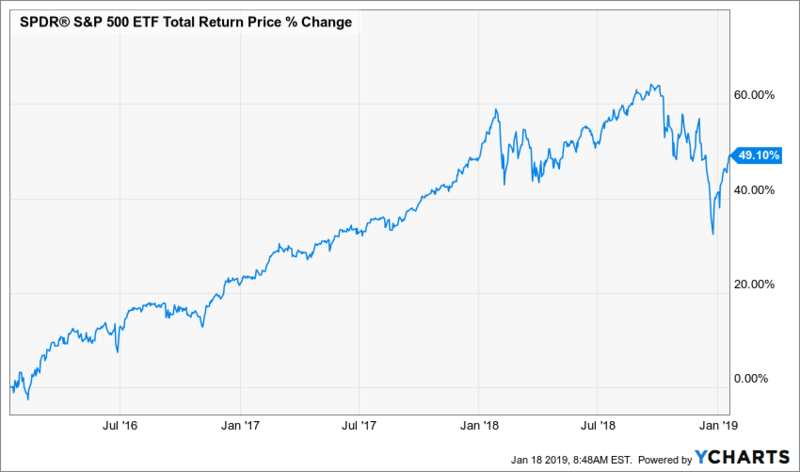 But because of the fund’s massive premium price, it needs to earn a 21% return in the market to cover that payout—and you and I both know that hauling in a gain like that year in and year out is impossible. The bottom line? If you want to rack up steep losses fast, this is the fund to buy! 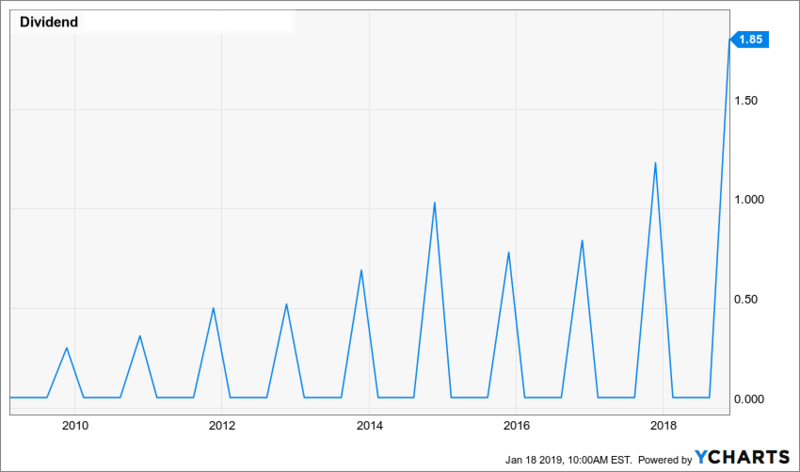 Your fourth and final report, “4 Great CEFs to Buy Now: 7.5% Yields and 20% Upside Ahead,” gives you all the profitable details on 4 more CEF picks poised to hand you big upside and dividend income in the next year—and beyond. 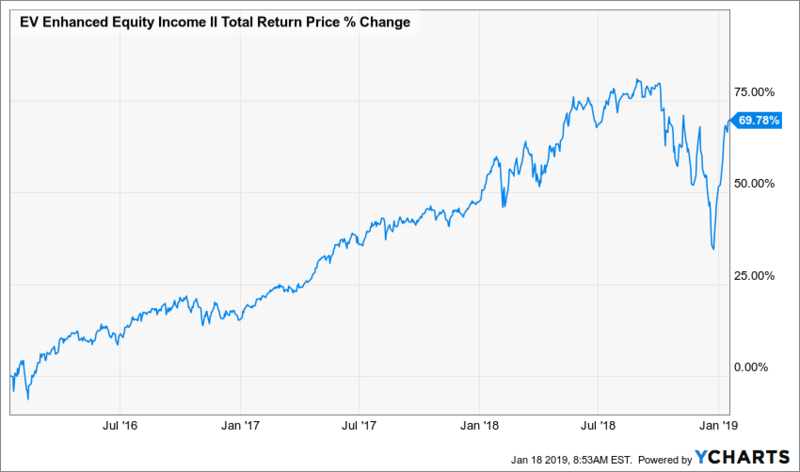 A “megatrend” fund throwing off an 8.4% dividend and poised to soar, thanks to its portfolio of booming infrastructure plays like warehouse operators, which are racking up HUGE profits as booming megatrends like online shopping roll on! This dividend all-star is also dirt cheap, trading at a ridiculous 14% discount! It’s hands-down the best-run fund in its class and a must-have for your portfolio. A 7.6% payer with totally ignored upside! 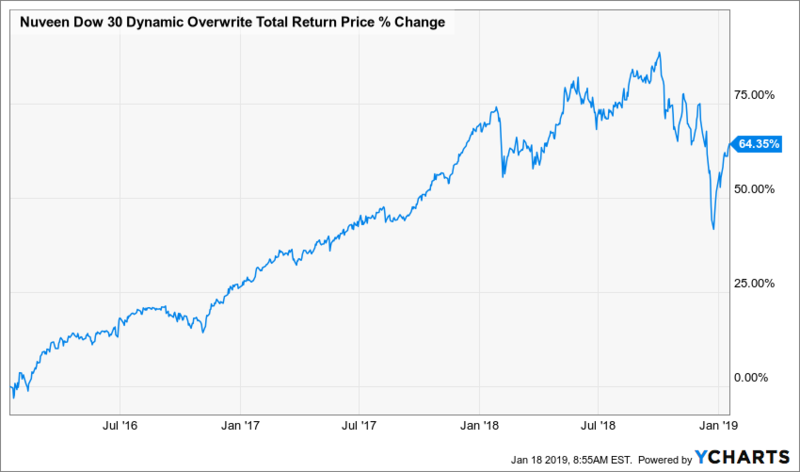 This overlooked fund has seen its income ratchet higher with interest rates, and its cash stream is poised to keep on rising, no matter what happens with the Fed! But none of this is priced in, making now a perfect time to strike. A “double play” fund paying 6.9% and ready to explode higher. Like the 7.6% payer I just mentioned, this one’s portfolio holdings and income stream are soaring, but because it’s a smaller CEF, no one has taken notice … which is why we can grab this one at a double-digit discount that won’t last long. A “preferred” 7.7% dividend that’s on sale now. Preferred shares trade on the market, like stocks, but boast regular, steady payouts like bonds. That makes them perfect for your retirement portfolio, and this fund is the best way to buy in. 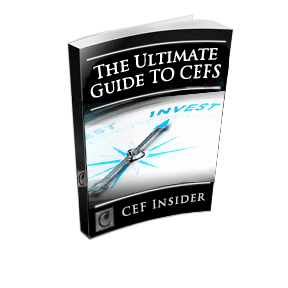 To get your copy of “5 Hidden Income Plays the ETF Companies Don’t Want You to Know About,” “The Ultimate Guide to CEFs,” “5 Toxic CEFs That Could Ruin Your Retirement” and “4 Great CEFs to Buy Now,” I simply ask that you take a risk-free trial to my CEF Insider service. CEF Insider is custom-built for investors who aren’t afraid of snagging double-digit price gains like the ones I’ve showed you throughout this report, year in and year out, in their income portfolios. And that’s to say nothing of the outsized 8%+ yields I’ll bring you every single month! It’s a unique service for folks who want to go further than the average investor to get in on the very best CEFs for high, safe income and massive upside. I’d normally charge $99 a month for access to the Screener alone—but you get it absolutely FREE when you try CEF Insider. Members-Only Portfolio: These are the “best of the best”—my top CEF picks for high, safe income and big gains right now. All of them are laid out in an easy-to-read portfolio that includes my up-to-the minute recommendations, buy-under prices, current yields, discounts to NAV and much more. Unlimited Access to the Members-Only Website: Day or night, you can log into our password-protected website, where you’ll find easy access to all of our resources, including the CEF Screener, Index Tracker, CEF Watch List and the full portfolio. You also get a complete archive of our monthly issues, special reports and Flash Alerts so you can see how our recommendations have changed over time. But I have to tell you something here. I’ve built CEF Insider for people who want to truly understand the explosive gains and double-digit yields these ignored funds offer. I expect those remaining spots to go fast, especially when folks see the eye-popping gains and outsized income we’re talking about here. To recap, you get a full Charter Membership, with 2 months of full access to our powerful CEF Screener (a $198 value) and Index Tracker (a $198 value). Plus you also get the CEF Watch List, the complete CEF Insider portfolio and ALL of our premium research. AND you’ll also receive 4 FREE research reports (a $396 value), weekly email updates and alerts, and a full 60 days to decide if you like the service. In the coming months, many investors will still be on the sidelines, fearful the Fed’s next move or wondering how President Trump’s next tweet will affect the markets. Meantime, our CEF Insider members will be quietly pocketing their 8%+ CASH payouts and watching their funds’ prices start their relentless upward climb as their unusual discounts swing shut. Don’t be left on the sidelines. Start your no-risk trial to CEF Insider now. P.S. 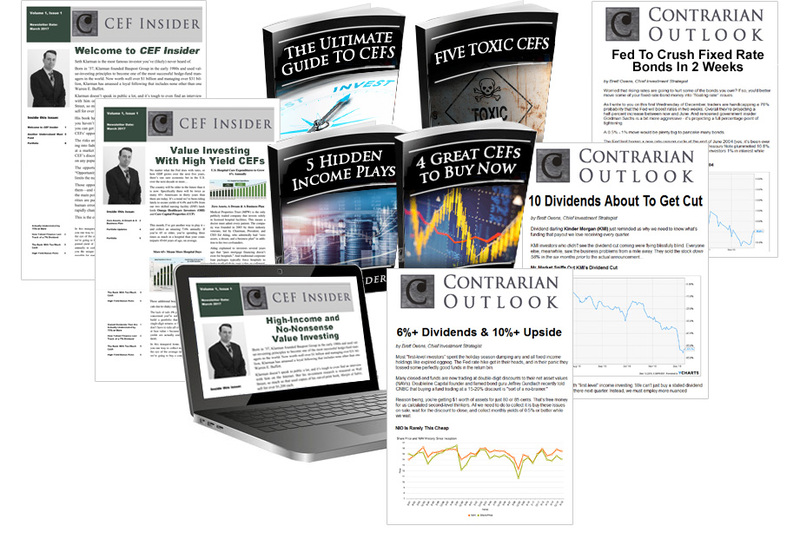 As soon as you join CEF Insider, you’ll have access to our CEF Screener, Index Tracker, Watch List, the complete portfolio, your 4 special reports and your first issue. 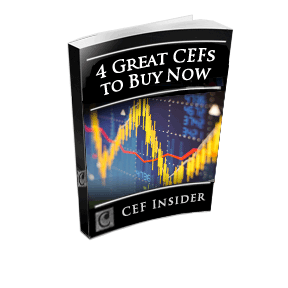 The 4 reports and two months’ access to the Screener and Index Tracker alone are worth $792.00, but they’re yours free as a new CEF Insider member! The time to act is now. Simply click on the button below. You have no risk and no obligation whatsoever.